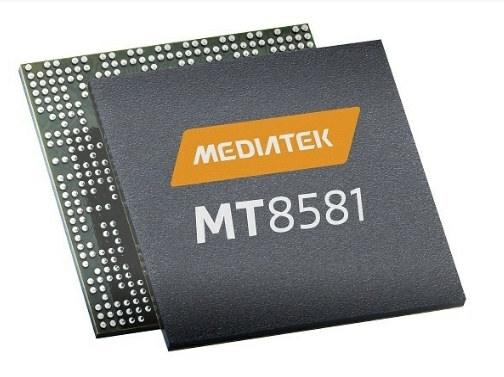 Mediatek has unveiled MT8581 processor for UHD Blu-ray players at CES 2016, with support the latest 10-bit H.265 and VP9, as well as High Dynamic Range (HDR) for better video quality. Video Codecs – HEVC/H.265 10-bit, H.264 and VP9 Profile 2, Ultra HD 60p video decoder (3840×2160), MPEG-1/2/4, VP8 and VC-1 for Full HD 60p. Encode: H.265 and H.264. 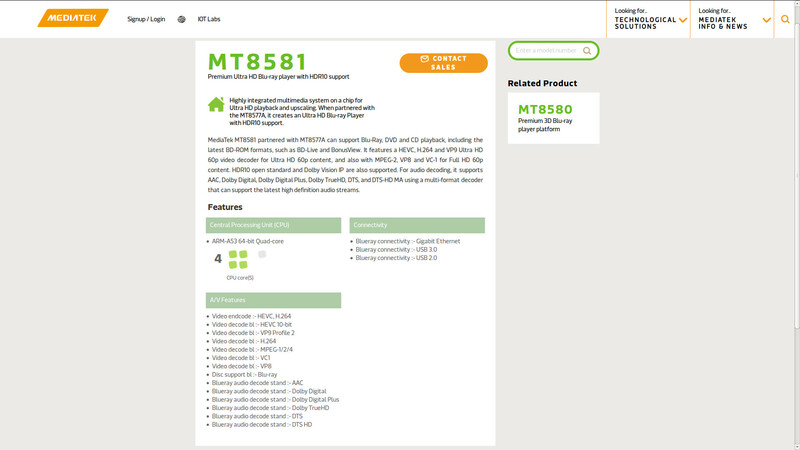 MT8581/MTK8581 will also support DVD upscaling up to 4K resolution, and 4K downscaling to for Full HD and HD ready screens. The processor’s mass production is scheduled for H2 2016.
rather than wait till 2019 for the price to be viable for rpi , i rather prefer allwinner A64(or other similar price and performance) soc for this/next year new 64-bit RPi. 3D / MVC supported too?